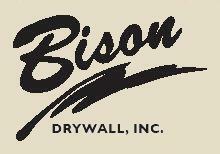 Bison Drywall, Inc. has been providing the Baltimore region with quality drywall construction work since 1989. Commercial division provides light gauge metal stud framing, drywall, ACT ceilings, custom acoustical clouds, insulation, doors and hardware installation, and FRP installation. Projects include offices, churches, schools and hotels. 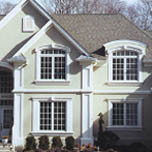 Residential drywall division provides drywall for custom homes, production homes, town homes, and multi-family housing. Exterior Insulated Finish Systems (EIFS) and stucco division provides the latest water managed systems on both commercial and residential projects. Our applicators are manufacturer trained and certified. All employees have completed 10hr OSHA training classes and we provide tool box talks to keep jobsite safety our highest priority. Chesapeake Residential Contracting, Classic Homes of Maryland, Wagman Construction, Whiting-Turner, The Keelty Companies, Koch Homes, JPaul Builders, Hamel Builders, Kingsley Construction and many more. References available upon request. We have built long term relationships and partner with our Builders, GC's and Suppliers to provide the best possible pricing solutions while adhering to scheduling, but also being flexible enough to bring about the most cost effective results due to changes or unexpected delays. Please contact Bison Drywall to provide you with a competitive bid for your next project.